'The Barbaras' Sue Addison: Sour Grapes or Hometown Harassment? When a lesbian couple in a rural Addison County town filed a lawsuit earlier this month accusing the town's selectboard chair, his wife and two neighbors of discriminating against them because of their sexual orientation, the media pounced. And no wonder. Legal proceedings initiated by Barbara Ernst and Barbara Supeno allege all manner of unfair treatment since the couple moved to their lakefront home in the town of Addison a decade ago. "The neighbors shouted offensive language and made rude gestures, accompanied by threats of physical harm, and acts of trespass and intimidation," the suit reads. They allege that their harassers left dead animals on the property, including "decapitated bunnies." Addison's town files overflow with similar complaints from the two women known commonly as "the Barbaras." But spend some time in this small town on the edge of Lake Champlain, and you'll hear another side of this story. According to town officials and residents, what Ernst and Supeno call discrimination and bias is no more than the cumulative effect of long-standing conflicts in a small lakefront neighborhood on Fisher Point Road. They say the couple's displeasure with the outcomes of such disputes account for unfounded allegations. "Absolute nonsense" is how Frank Galgano, who chairs Addison's planning commission, characterized the couple's claims. "I don't see any gender bias," he said. "They keep playing that particular card, because they feel it's to their particular benefit ... They don't have a leg to stand on. It's hurtful to all of us." Ernst and Supeno's lawyer, David Bond, filed the suit on March 5 in Addison Superior Court. It alleges that town officials, under the leadership of selectboard chair Jeff Kauffman, have repeatedly made discriminatory zoning decisions and retaliated against the women for a discrimination complaint they filed four years ago with the Vermont Human Rights Commission. The Barbaras argue that the town unfairly increased the valuation of their property and routinely failed to inform them about zoning and development hearings that affected them. The couple declined to be interviewed for this article, designating their attorney as a spokesman. While town officials insist on "strict enforcement" against minor or imagined infractions by his clients, Bond said, "The town allows antigay neighbors to do whatever they want." That includes tolerating graffiti messages on municipal property. According to the suit, the town took two years to remove the words "I Heart Fags" after someone spray-painted them on the ground outside the town offices around March 1, 2012. The lawsuit seeks unspecified financial damages and targets the Town of Addison, Kauffman and his wife, Carol and neighbors John and Linda Carrigan. The suit accuses the Kauffmans and Carrigans of defamation, invasion of privacy and interference with prospective business relations. Specifically, the complaint cites Carol Kauffman for circulating an anonymous, defamatory letter to town officials and some residents, an allegation she denies. In addition, it takes aim at her husband, who is also founder-pastor of the Hope Community Fellowship, which the legal complaint describes as an "ultra-conservative" Baptist church. It argues that Kauffman and other town officials hold antihomosexual views based on fundamentalist Christian beliefs. This bias, the suit alleges, "has motivated a number of decisions by the Town that were calculated to force Ms. Ernst and Ms. Supeno to move away." "I don't mind telling you that it used to be a great place to go," said Richard Myers, who resides on Fisher Point Road in the summer with his wife, whose family started vacationing there in 1939. They spend winters in Florida. 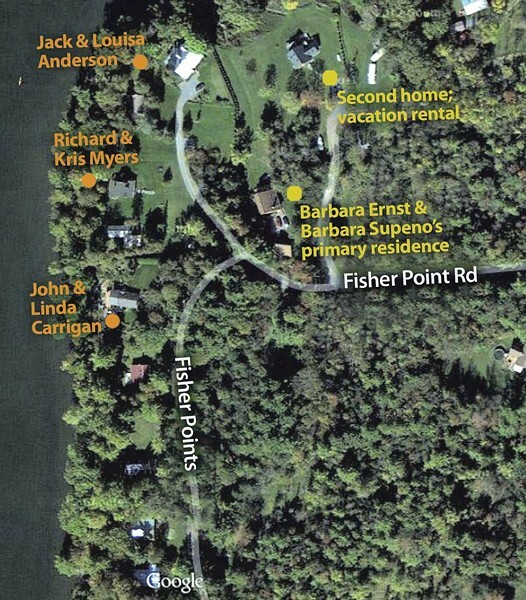 Their camp is one of many lakefront properties in the neighborhood that abuts Ernst and Supeno's property line. "Now, we almost dread going back," Myers said. "There's always some kind of a crisis." But homophobia has nothing to do with it, according to Myers and other neighbors. 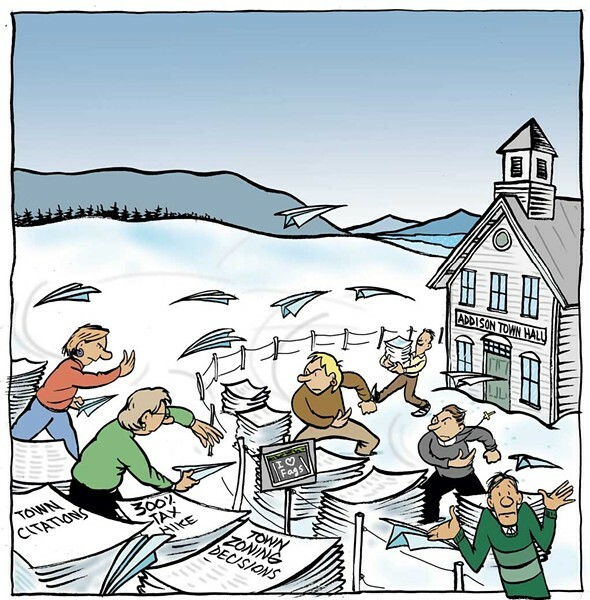 Instead, they say, it's an accumulation of ill will between adjoining property owners of different classes and backgrounds: bickering over fences, rights of way and trespassing, as well as bitter fights about individual efforts to improve or expand properties. Myers said he and his wife have steered clear of the drama, but he was appalled at recent news reports. "I as an individual and everybody else down there has just been pegged as a den of bigots" — a characterization he said is simply not true. Supeno and Ernst "cause a lot of angst in our community," said David Cole, who sits on the planning commission and design review board and insisted the allegations about discriminatory decisions aren't true. "We make our decisions on the law, and on our zoning ordinances." Like most town officials, he seems outright bewildered by the charges. Selectboard members first learned about the lawsuit when a Channel 5 news crew showed up, camera in tow, at their monthly meeting the day after Town Meeting Day. The media had been tipped off by RU12?, a Burlington-based community center for lesbian, gay, bisexual, transgender and queer individuals that has been publicizing the plight of Ernst and Supeno. National news outlets, such as Huffington Post and Advocate.com, have since covered the suit, but without talking to others in Addison or digging into a complicated and at times bizarre backstory. Most of the individuals named in the couple's legal complaint — including Jeff Kauffman and the Carrigans — declined to speak with Seven Days for this story because of the ongoing litigation. Other sources cooperated on condition of anonymity, because they said they feared the Barbaras would retaliate against them. But many townspeople did agree to speak on the record. And town, police and court records contain many details about the current dispute and ones that preceded it. Ernst and Supeno moved to Addison in 2004. They paid $459,000 for their home at 330 Fisher Point Road, a private road that turns off Route 17 directly across from a large dairy farm. Their eight-and-a-half-acre property has 52 feet of lake frontage. The property touches 21 others, including a dozen lakeside, "undersized and grandfathered house lots," as the lawsuit describes them. Wooden, hand-lettered signs identify the owners of the small homes and seasonal camps in the neighborhood — but there's no sign for Ernst or Supeno. At least three security cameras, mounted on corners of the couple's home, are aimed at the surrounding neighborhood. Addison stretches from the base of Snake Mountain to the shores of Lake Champlain, and the wide, largely flat expanses in between support several dairy operations. But at the western edge, farms give way to lakeside settlements and recreational hubs, including the Champlain Bridge Marina and the DAR State Park. 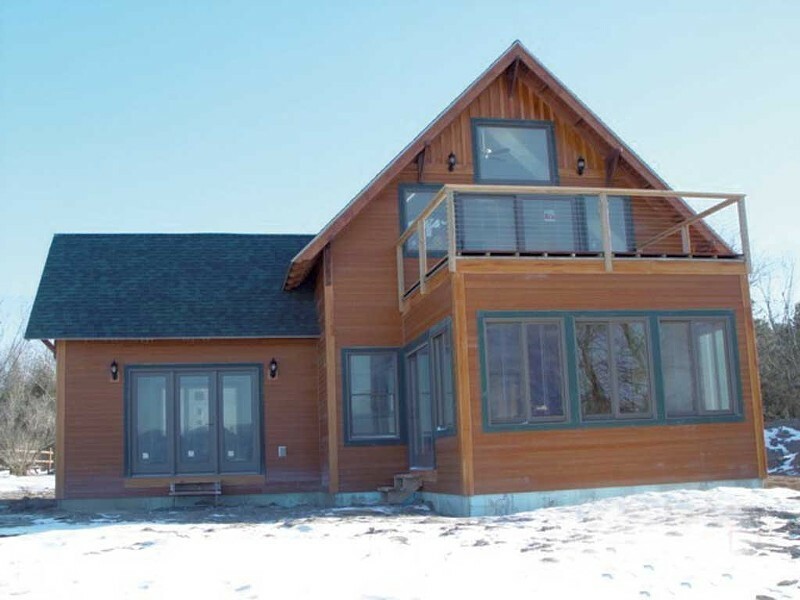 The properties along the lake range from humble camps, many of which have been in families for generations, to larger lakefront retirement or vacation homes that have been insulated and turned into year-round residences. "Where the Barbaras live, the houses are close together, and there's people that have lived there for a long time," said Rob Hunt, who sits on Addison's school board and selectboard. He describes a scenic spot prone to culture clashes. "There is a faction that believes that because they've lived there the longest, they don't have to follow any rules," he said. And also "the wealthy ones, that believe that because they're wealthy, the rules don't apply to them." Galgano said that making planning and zoning decisions in this part of town — where properties are small, lots are often nonconforming, and old structures don't meet the current best practices of building and zoning — can be a headache. Residents often have to apply for conditional use permits or variances to proceed with home improvement or construction projects. "As I've told my committee very many times, there's literally nothing that we can do that is going to be acceptable to each and every individual within the town," said Galgano. "It's a very difficult game all the time, and we can only make rules and regulations that we hope are in the general interest and the public interest." "I would not want to live there," said Hunt of the lakefront neighborhood. "Everybody gets into everybody else's business." Sure enough, that's played out over the years in selectboard meetings, development review board proceedings and in the courts, not to mention in the backyards of neighbors on Fisher Point Road. Not long after moving to town, the Barbaras started butting heads with their neighbors. In 2004, the lawsuit alleges, neighbors Roger and Mary Sleeper moved five trailers onto a half-acre lot adjacent to Ernst and Supeno's property. The women complained to the town, which resulted in the removal of the trailers that were encroaching on their land. But the town granted the Sleepers a permit to leave the remaining trailers where they were. Ernst and Supeno appealed the decision, and contend in their new suit that the town refused to rescind the permit and denied them an opportunity to participate in the hearing process. Today there are two trailers on the property, occupied by Roger and Mary Sleeper. Ernst and Supeno again went to the town in 2007 after officials granted adjoining landowners Robert and Lori Woods a variance to rebuild an existing camp and add a second floor. Their lawsuit contends that the permit was issued in disregard of the town's existing zoning regulations and, just like three years before, the couple was not properly warned about — and therefore not able to participate in — the hearing process. That same year, the town OK'd a plan from neighbors Greg and Joanne Swierz to expand their camp by adding a deck and a second story. Ernst and Supeno challenged the town's decision in state environmental court, where records show a judge denied Ernst and Supeno's motion for a summary judgment on the case. That means it could have moved on to a trial. The Swierzes settled the dispute by selling their property to Supeno, according to the Barbaras' lawsuit. Supeno, along with her brother, purchased the property for $320,000 and, using the Swierzes' previously issued permits, began construction on a home for Supeno's mother. Supeno and Ernst allege in their lawsuit that the town attempted to revoke those permits, and that Jeff Kaufmann — serving at the time as Addison's zoning administrator — "tried to shut down the project for imagined infractions of the building code." Supeno and her brother were forced to hire an attorney, the suit continues, to obtain their certificate of occupancy. Today the second home — with large windows and vaulted ceilings — is assessed at $402,200, according to town records, and is listed on the vacation rental site Home Away for $200 a night. Ernst and Supeno also went to environmental court to fight home improvements on the property of John and Linda Carrigan, the neighbors they are suing for defamation in their current lawsuit. The Carrigans live in Chittenden County and use the Addison camp as a seasonal home. The women appealed a conditional use permit and two certificates of occupancy the town issued for the property and, last September, the court upheld the town's decisions. Ernst and Supeno have appealed the decision to the Vermont Supreme Court. Myers said he and his wife stayed out of the fray for years. But last year, they testified on behalf of the Carrigans — their next-door neighbors — in the environmental court proceedings. Myers has come to regret that decision. Ernst and Supeno have since put up a new split-rail fence on their property line that runs directly in front of the Myers camp. Through their lawyer, Ernst and Supeno said they left a 25-foot gap in the fence to allow Myers and his wife access to their land, consistent with their easement rights, but Myers said they've blocked off the spot the family has used for decades to get into their camp. "The only reason why I can think of is we had the audacity to speak up for the Carrigans," said Myers, noting the couple asked him to do so. The Myers have already spent $700 talking to a lawyer about how to get a section of the fence removed. Myers isn't named in the Barbaras' lawsuit, but, through their lawyer, they claim he's a member of the "antigay hate group" with which they have contended for years. Myers recalled sitting down in his living room with Ernst at one point several years ago. To her complaints about antigay neighbors, he remembers telling her, "I don't care what you are — it doesn't bother me," Myers said. When she asked Myers and his wife where they "stood" in the dispute between neighbors, Myers said he didn't stand with anyone; all he wanted was to come down and enjoy the lake. The split-rail fence isn't the first barrier the Barbaras have erected in their Vermont neighborhood. In 2008, Ernst and Supeno put up a 5-foot-11-inch privacy fence between their property and a home owned by Jack and Louisa Anderson; it was one inch shy of the six-foot cut-off that would have required a zoning permit. The new lawsuit explains that the fence went up "due to the repeated threats and acts of intimidation by one of their neighbors." Neighbors flocked to the selectboard and complained, according to the meeting's minutes, about "how the fence was installed so as to obstruct the Andersons' view of the lake." Kauffman told the neighbors that the matter was in the hands of the zoning administrator, Richard Pratt, who would have to determine whether a violation had occurred. At subsequent meetings, neighbors again asked about the "fence issue." Supeno and Ernst say they weren't notified that their property was up for discussion at these meetings, and they weren't present at these deliberations. In their lawsuit they argue that the town incorrectly cited them for a zoning violation "without even attempting to measure the fence." Still on the fence front: In January 2009, Ernst and Supeno sent a certified letter to the town objecting to zoning changes proposed by their neighbor, Roger Sleeper, who had suggested easing rules governing fences, setbacks and structures on nonconforming lots in a series of selectboard and planning meetings. The couple's letter said that the changes would "drastically negatively impact property values for all property owners in Addison." They also wrote that the proposals were "related to an extension and continuation of the hate crimes, harassment and discrimination of us ... based on our sexual orientation." Their letter continued: "These threats have been continual for almost four years since we moved into our home in October 2004. These threats include attempted assaults against us with vehicles, running us off our own property and our own road with vehicles, physical, personal and verbal threats of violence against us, killing our bunnies and throwing the heads and bodies into our sealed boat, hateful and threatening verbal threats specifically against us because of our sexual orientation, harassment of us with direct and indirect support from others." There have been strong words and personal attacks on both sides of this strange standoff, including some on-the-record letters Addison residents have sent town officials impugning the Barbaras. But nothing compares to the anonymous letter circulated in April 2011 that is an exhibit in the current lawsuit. Supeno and Ernst claim that the handwriting on the envelope suggests it came from Carol Kauffman, the selectboard chair's wife. Plus, it contained information that Ernst and Supeno say they provided in a confidential mediation with Jeff Kauffman. "In short they are accomplished con artists, who since coming to Addison, to what they think is the land of 'Country Bumpkins,' are now out to fleece the willing lambs of this perceived naive and gullible community ... On individual meetings they appear so gracious and nice; but beware they are gathering data and will use [sic]against you later." In fact, Addison isn't the first town where things have turned combative for Ernst and Supeno. In 2004, neighbors of the women in Stow, Massachusetts, called police three times for assistance because, they alleged, one of the Barbaras was either trespassing or causing a disturbance on their property. Police reports show that in one case, the neighbor said Supeno struck him, breaking his glasses; she said the assault happened the other way around, when the man allegedly threw her to the ground. According to the police report, Supeno later called the police station repeatedly, including on the 911 emergency line, demanding to speak with the officers who'd responded to the call and with the chief of police. Eventually Stow's police chief told his officers to warn Supeno that she'd be charged with making harassing phone calls if she didn't stop. Bond said the Stow incidents aren't relevant to the current dispute and, in his view, don't establish a pattern of poor relationships with neighbors. In Addison, he said, his clients have been harassed and abused simply for speaking up when abutting neighbors tried to expand their camps or winterize homes — moves that would have hurt their property values and, they argue, the health of Lake Champlain. "What came first, the chicken or the egg?" he asked. "Was it that they opposed the neighbors' attempts to expand their property? Or did the neighbors harbor the antigay bias from the beginning? I don't know," said Bond. "I can say for sure that a lot of what they were doing was really just exercising their rights under the zoning ordinances and getting payback — and that payback manifested itself in really ugly ways." Kim Fountain of RU12? 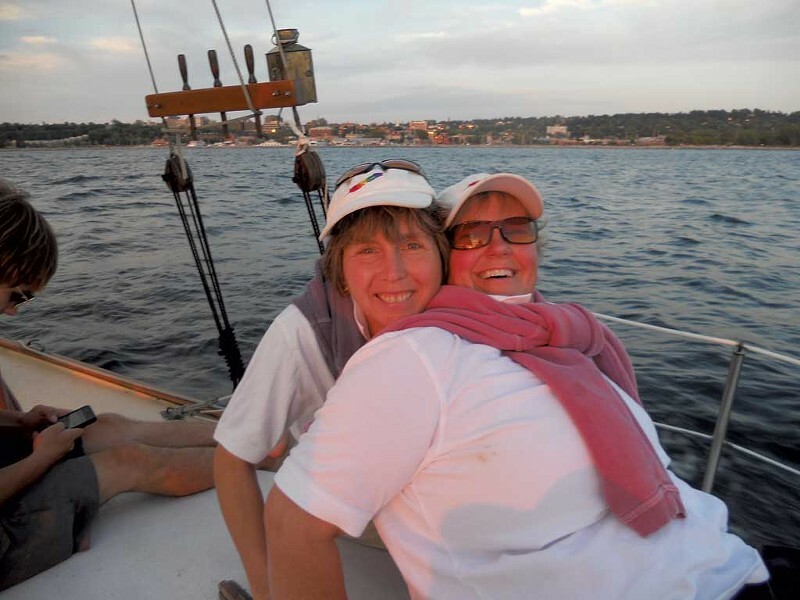 — the Burlington nonprofit that has taken the side of Ernst and Supeno — describes them as "two wonderful human beings." Ernst, a nurse in the neonatal intensive care unit at Fletcher Allen Health Care, is "just really caring — very calm," Fountain said. "She's not reactionary." Supeno, Fountain continued, is the livelier of the pair, but is also levelheaded and a great cataloguer of information. Fountain mentioned that the couple is devoted to environmental causes. That devotion to the environment is one of the reasons the women, speaking through their lawyer, cite for moving to Vermont. They were active in the fight to stop a tire burn at International Paper in Ticonderoga, N.Y., and they cofounded the Northeast Clean Air Coalition and Northeast Association of Natural Lake Restoration. Supeno and Ernst were also involved in environmental battles before moving to Vermont. As previous residents on Lake Boon — in Stow — they fought the use of herbicides to treat invasive weeds in the lake, say neighbors and a 2003 news report. The Lake Boon Association website says that even though applications of the herbicide were well within federally permitted limits, the town of Stow's selectmen decided to halt the treatments "due to a single threat of legal action by two individuals (who will go unnamed upon legal advice)." Fountain knew both women through RU12? before they brought their current lawsuit. She calls their allegations "shocking," particularly in light of the "wonderful reputation that Vermont has for LGBTQ folks." When she worked in Brooklyn doing antiviolence work in the gay community, Fountain said, she and other activists would "look to Vermont as a sort of oasis." The Ernst and Supeno complaint should remind Vermonters that "it's not like one region of the country has a leg up on the other in terms of who gets to call themselves more progressive or a safer place to be," said Fountain. "Like any other place in the country, on the individual levels, we still get experiences of violence." What's more, Fountain said, being a "whistleblower" about violence or discrimination, particularly in small communities, is a cross to bear. "Every place they go, people are going to know who they are," said Fountain. "That's what it is to live in a rural place. You can't escape it." Galgano has gleaned a different lesson from small-town life. "You can't turn to the town every time you're unhappy with a problem with you and your abutting neighbor," said the Addison planning chair. 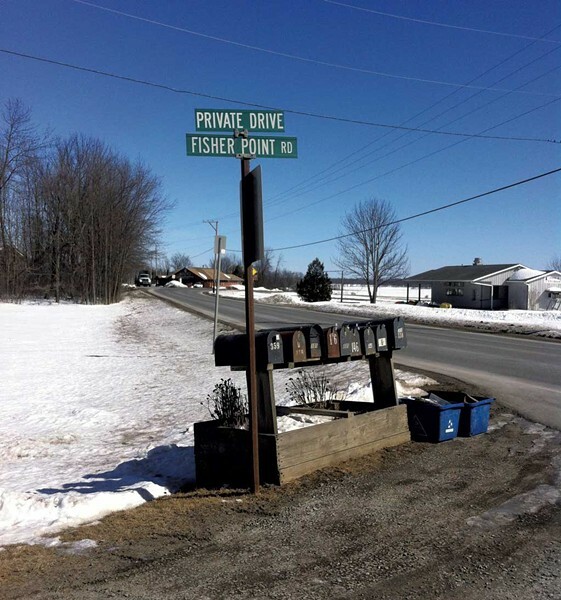 Town and court records suggest Fisher Point Road neighbors on both sides of the issue have done just that. But suing the town is taking it to a whole new level, and Ernst and Supeno are naming names. The lawsuit accuses Jeff Kauffman of "unreservedly express[ing] his hatred for gays and lesbians" in private conversations. Until recently, the suit alleges, the website for Kauffman's church, Hope Community Fellowship, had links to several faith-based antigay websites that labeled gay individuals as "dogs" and "fornicators." Hunt concedes that homophobia can exist anywhere, and it's possible that Supeno and Ernst have experienced instances of aggression or harassment in Addison. But he said he's seen no evidence of it from Jeff Kauffman or other town officials. Take that "I Heart Fags" graffiti, for example. As Hunt remembers it, people first noticed the white, spray-painted slur on a Monday, after the weekend. In deciding how to deal with it, the road commissioner reported that he didn't have a way of scouring away the paint, so he added an "L" between two letters, turning "fags" into "flags." "It said, 'I Heart Fags' for a matter of days, not any longer," said Hunt. "It wasn't like the town ignored it." Ernst and Supeno have alleged in other media that the town removed it only after learning of the lawsuit. Hunt says it wore off and is no longer visible. "We have our share of rednecks," said Hunt, a dairy farmer. "Four-wheel-drive pickup trucks with a stack. But the people that do civil service, they don't tend to be those people." "I think that most of us here have the 'live and let live' attitude," said Hunt. "I know the Barbaras are going to be mad at me because I can't say that Jeff is a homophobe. I've never heard him even refer to God at a selectboard meeting, or anything religious." In fact, several officials in town said that they knew and worked with Jeff Kauffman for years before learning he served as a minister. There are some clues, said Hunt, but they're not necessarily obvious. "He never swears, and he's a fantastic public speaker," he said. "Preachers are." Selectwoman Joy Pouliot called Jeff Kauffman an "asset" to the town of Addison, and described him as the kind of person who would give someone else the shirt off his back. "He's been a pleasure to work with on the board," she said. Even Hunt, who tangled with Jeff and Carol Kauffman a few years ago when the Kauffmans repeatedly discussed school issues at selectboard meetings, said his read of the chairman and the recent allegations just don't match up. "At this point, I can't say that I can think of anything that Jeff has done that was illegal, immoral or offensive," said Hunt. Bond said he has plenty of evidence that refutes that — although no "on-the-record statements" that the town is "doing this because they are gay," he said of his clients. "In discrimination cases, you're always left to rely on circumstantial evidence coupled with evidence of intent — and we have plenty of that as well." The sheriff served the Town of Addison on March 11 — six days after officials learned from a Channel 5 news crew that it was being sued. Town Clerk Marilla Webb couldn't comment on the case last Friday morning, but it was clear that the lawsuit had residents talking. Within just a few moments of one another, two popped into Webb's office asking if the town had been served. "Must make for interesting reading," one said to the town clerk. Not for Jeff Kauffman's wife, Carol Kauffman, who spoke briefly with a Seven Days reporter several times over four days. She said the claims about her in the suit — that she wrote and disseminated a "defamatory" anonymous letter about the couple; that she mailed a letter to Middlebury attorney Willem Jewett falsely purporting to be from Ernst and Supeno; and that she tailgated and tried to run Ernst off the road — just aren't true. In a brief conversation at the couple's home last week, Carol Kauffman also objected to the characterization of her and her husband as religious bigots. Yes, they believe in a literal interpretation of the Bible, she said, but went on to say that book calls followers to practice love, and that she wanted to "agree to disagree" on matters of sexual practice such as homosexuality. She expressed contempt for groups such as the Westboro Baptist Church, whose followers are known to wield protest signs bearing messages such as "God Hates Fags." The Kauffmans live at the base of Snake Mountain, as far away from the Barbaras as you can be and still reside in Addison. Six muddy-pawed golden retriever puppies careened across the yard to greet a reporter. "My goal is that after this is over," said Carol Kauffman, pausing as her voice broke and she took a deep breath, "that we're going to have healing here." Kauffman hopes that the results of a 2010 Human Rights Commission investigation will come to light as a result of the new lawsuit. Supeno and Ernst filed a complaint alleging discrimination in 2010, but withdrew it several months later after an investigator interviewed many in town. In their current lawsuit, Supeno and Ernst call it a "toothless inquiry" conducted by someone who shared "the antigay bias of many in the Town." In an email about the investigation sent to Jeff Kauffman on March 4, 2011, the town's attorney, William Ellis, said Vermont HRC intake specialist Paul Erlbaum "indicated some regret in not issuing a report, and acknowledged that there was a certain measure of unfairness to the Town having to have gone through the process without some findings." Ellis continued: "After completing 16 interviews, Mr. Erlbaum concluded that there was no basis for the Barbs to prevail on their claim that the Town discriminated against them on the basis of sexual orientation. At worst, the Town demonstrated 'flakiness,' to use his word, in not providing the required notices of some hearings and in Richard Pratt issuing a notice of violation without ever looking at or measuring the fence ... There was no evidence of malice against the Barbs, and even if there was, based upon the reputation testimony he elicited, it was likely because of their litigious nature or the fact that they are 'flatlanders,' not because of their sexual orientation." Three years later, will another inquiry find evidence of discrimination? No way, say town officials and the couple's neighbors. Galgano remarked, "I just can't impress upon you enough how absolutely and utterly ridiculous this whole thing is." "Well, of course they'll say that," responded Bond. But when you look at the evidence, he contended, "the only reasonable inference is that there is a bias against" Ernst and Supeno. Ultimately, the courts will decide, but Bond estimates it might take as long as two years before the case goes to trial. The original headline for this article was "Two Against a Town"
Lesbian Couple Sues Addison: Sour Grapes or Hometown Harassment?